To a cocktail shaker filled with ice, add the cider, vodka, wine, lime juice, ginger, cinnamon and cloves. Shake vigorously, then strain into a martini glass. Garnish with an apple slice. 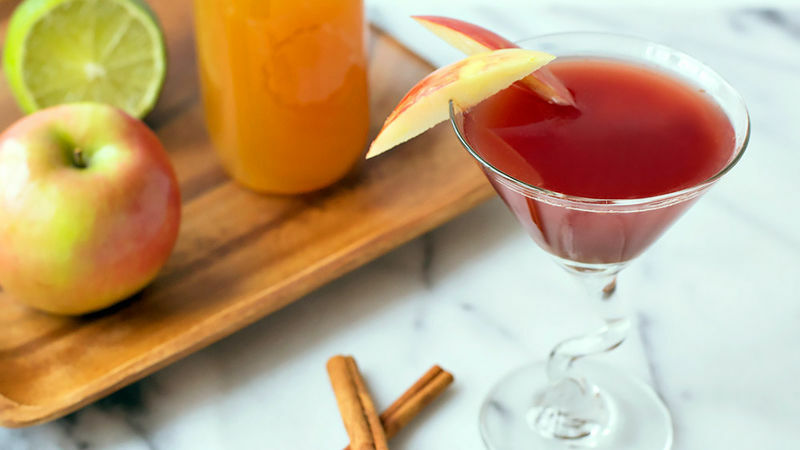 This apple cider and red wine cocktail is much more fun than going to the gym. It’s January 2nd. We begin today in earnest, ready to amend our excessive holiday shenanigans. From here on out, it’s just us, our resolve and a long stretch of winter until St. Patrick’s Day. I need a cocktail. I know we’re supposed to be on our best New Year’s behavior, but I don’t think one last drink will hurt, do you? Let’s shake up an Apple Cider Resolution Cocktail. After all, the previous year deserves another toast – and personally, I’m going to need a double once I realize that my resolve to go to hot yoga four days a week is weaker than I suspected. 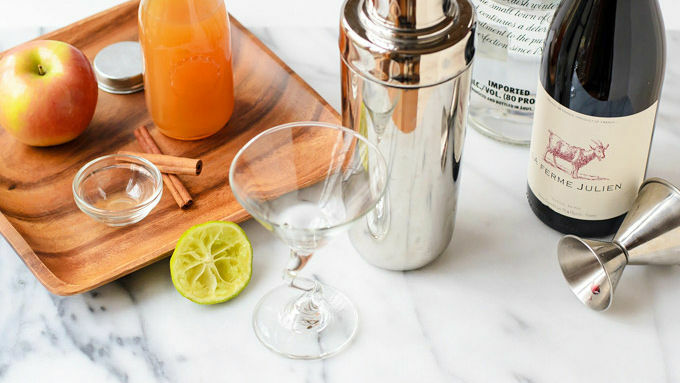 This drink is adapted from the Food Network’s Resolution Cocktail and combines wintery spices with fresh flavors for a complex, refreshing drink. Vodka and lime keep things light and clean, while a splash of red wine, apple cider and mulling spices add warmth. Though the flavor is enchanting, there’s no magic to the steps here: Throw everything into your cocktail and shake vigorously. If you feel a slight burn in your bicep, you're doing things right. Finally pour, sip and enjoy. Now wasn’t that more fun than hot yoga?